We offer professional consecutive and simultaneous interpreters for various events, from business meetings and court proceedings to international conferences. We can also recruit a team of conference interpreters for your multilingual conference and provide you with all the necessary interpreting equipment in cooperation with Oulun Kongressitekniikka. We are happy to help you with any practical arrangements related to multilingual communication in your event. Professional and high-quality interpreters save time and costs, and ensure successful communication between various languages and cultures. Our highly qualified interpreters ensure that your message is successfully communicated, so that you can focus on the factual content of your event. Our experienced conference interpreters from Oulu and other parts of Finland and the EU work regularly in various conferences around the world. Many of our interpreters are accredited to work for the European Union institutions and some are members of the International Association of Conference Interpreters (AIIC). We interpret for a variety of EU agencies, projects, multinational corporations, European Works Councils, meetings and plenaries of international organisations and general meetings of companies, amongst others. All our interpreters naturally comply with the principle of confidentiality required by law and professional ethics. Simultaneous interpreting is the best solution for events with a tight schedule and participants from several countries. The interpreters listen to the speakers on headphones and deliver their interpretation from the booth in real time to the headphones of the participants. No extra time is needed for interpreting, which makes discussion smooth and efficient. Simultaneous interpreters listen to the speaker, analyse the content, render it into another language accurately and idiomatically, and control their own output – all at the same time. Simultaneous interpreting requires a great deal of concentration and is highly demanding. For this reason, two interpreters are needed for events lasting for more than one hour in order to guarantee the accuracy of interpretation. The interpreters work in shifts of 20 to 30 minutes. While one interpreter works, the other assists his or her colleague with key terminology, names, figures and other crucial information. Simultaneous interpreting can also be organised as whispered interpreting. In this case, the interpreter sits or stands amongst the delegates and simultaneously interprets directly into the ear of the delegates. Whispered interpreting is only suitable in cases where there is a maximum of three listeners and a limited number of meeting participants: the interpreter must also be able to hear! Whispered interpreting is more strenuous than working in a booth, which means that two interpreters are usually needed to maintain the high quality of work. 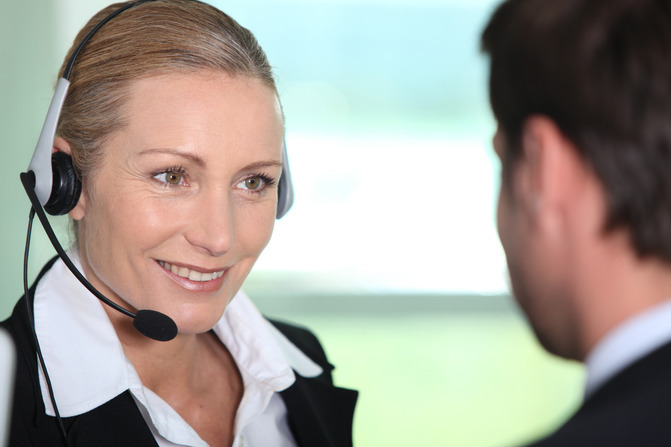 Consecutive interpreting is well suited for company visits, meetings and company presentations. The interpreter listens to the speech and then renders it, when the speaker has finished, in a different language, usually with the aid of notes. Well-trained interpreters can render speeches of 10 minutes or more with great accuracy. No specific technical equipment is needed, but the time required for interpreting must be taken into account when planning the schedule of the event. Interpreting assignments are priced on the basis of language pairs and the number of interpreters needed. All professional interpreters carefully prepare themselves for every assignment and familiarise themselves with the conference material provided by the client. This ensures high-quality work and is included in the price. Higher rates may apply to assignments requiring special expertise. In addition, standard per diem rates and actual travel and accommodation costs are charged. Travel time may be charged separately. Professional conference interpreters are fewer and farther between than translators. Therefore, the best interpreters are often booked for months in advance, particularly during EU plenaries and high seasons for annual meetings and EWCs. For this reason, we recommend booking interpreters for your conference well in advance. The General Terms and Conditions of the Finnish Association of Translators and Interpreters apply.